The year is 1686 and the locale is Amsterdam. Eighteen-year-old Nella Oortman arrives at the imposing house of her new husband, Johannes Brandt, a successful and wealthy shipping merchant. A marriage arranged because of her name and his wealth, Nella finds herself overwhelmed with loneliness and by her new surroundings. Due to the Calvinist authorities, the people in Amsterdam are repressed and colorless – they even eat their sugar in secret. Johannes’s peevish sister frightens her. The maid disrespects her. And his manservant, a former slave, alarms her. Moreover, Johannes never visits her in her rooms during the night or at any other time, leaving her doubtful and confused about herself and marriage in general. He does, however, give Nella an exquisite dollhouse that is the exact replica of his grand home, and invites her to fill it with miniature furniture at his expense. To this end, she commissions a miniaturist to make a few initial items for the dollhouse. What ensues for Nella are a series of puzzles as the elusive miniaturist sends Nella items which are exact replicas of the people and things in her home and which Nella has not ordered. 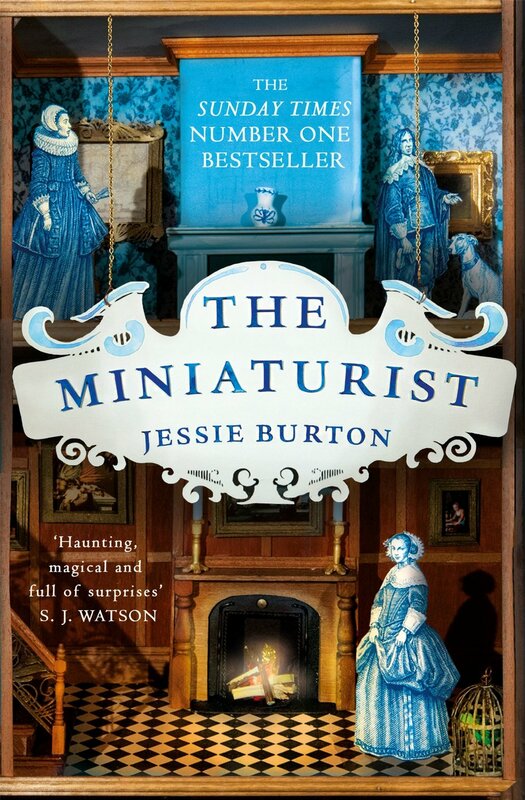 How does the miniaturist know so much about her and the other members of the Brandt household? Does the miniaturist know the future? What secrets are Johannes and his sister keeping from Nella? What should have been a charming book given its plot, its vividly drawn setting (having been impressively researched by the author, Jessie Burton), and some beautiful passages, left me feeling indifferent. While our heroine exhibits an exhilaratingly modern attitude as the story unfolds, I didn’t feel compelled by any of the characters or their events and circumstances. We discover each of their tastes, and we’re even told about each character’s failings, but we never learn what is in their hearts or what motivates any of them. As a consequence, I felt the characters lacked depth and the novel was a lukewarm experience rather than the passionately engaging one promised by many reviewers.